Atlas Copco's WEDA range now includes the expanded WEDA D for dewatering, the WEDA S for sludge and the completely new WEDA L slurry family. 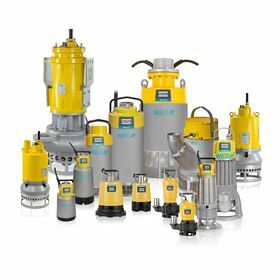 Atlas Copco Power and Flow has completed its portfolio of WEDA electric submersible dewatering pumps by finalising its ranges for drainage and sludge applications and adding a new range for slurry applications. The range now comprises three families; the expanded WEDA D for dewatering, the WEDA S for sludge, and the completely new WEDA L slurry family. WEDA D pumps can handle clean or dirty water, even with small solids. The WEDA S range supports dewatering of liquid sludge containing larger solids, while the WEDA L products have the largest apertures to facilitate handling of slurry with the most difficult solids. The WEDA D family now includes the D80, a new model for dewatering and the new models in the WEDA S sludge family, the S30 and S60, can handle thick, soft, wet mud or other similarly viscous mixtures of liquids and solids, especially the product of an industrial or refining process. The completely new WEDA L family handles semi-liquid slurry mixtures, typically of fine particles of manure, cement or coal, and water. Industrie Pumpen Vertriebs GmbH (IPV) is a distributor of industrial pumps for the Varisco brand.